In this video, every day Chicagoans sound-off on what they really think about Mayor Rahm Emanuel in wake of the Laquan McDonald cover-up scandal, a majority drawing shocking comparisons to Adolph Hitler. For 13 months, Emanuel fought the public release of the police video showing the last moments of 17-year-old Laquan McDonald’s life. The African American teen was shot 16 times by Chicago police officer, Jason van Dyke, who has now been charged with first-degree murder. The video shows McDonald walking away from the officers — not lunging — before being shot. Crumpled on the ground, more shots are fired at the teen, and wisps of gunfire smoke are visible. It wasn’t until a court ordered the release of the video that Emanuel and the City of Chicago was forced to comply with the state’s open records law. If it had been up to Rahm, the video may never have been released. Just days after Rahm’s re-election in April, the Chicago city council rushed through a “quiet” taxpayer-funded $5 million payout to McDonald’s family without a lawsuit even though McDonald was a ward of the state. 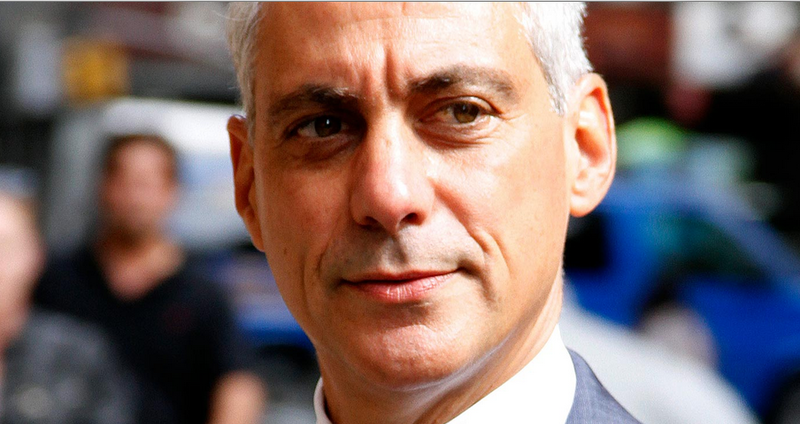 The latest polls show a majority of Chicagoans want Rahm to resign. They want to know if the money paid to the family was just political "hush money" to stay quiet until after the mayoral run-off election. But will the public pressure be enough to force Rahm to resign? And why has President Obama continued to stay silent on what is happening in Chicago?